Nobody is certain why the field goal unit struggled during Family Night last Saturday, but those involved, Mason Crosby, Derek Hart and Justin Vogel are looking for the next opportunity. 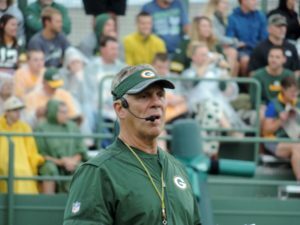 The next chance comes Thursday night when the Green Bay Packers open the preseason against the Philadelphia Eagles at Lambeau Field. Mason Crosby made 22 of 23 field goals during the first week of training camp, then made just 5 of 11 to close out Family Night on Saturday. If the Packers kicking unit rebounds Thursday night against the Eagles, all will be forgotten. Nobody was pointing any fingers when talking with reporters on Monday. Mason Crosby said they all have to be consistent. Crosby has made 80% of his field goals during his career. He was better than 86% last year and has converted just under 86% since 2012, which was his worst season in the NFL. What the Packers don’t want to do is mess up Crosby. Special teams coach Ron Zook said they won’t let that happen, but he’s not concerned right now.